Climate change matters for all people. Does it matter particularly for young people? If so, where and how? Join this PIM Webinar on February 7 (Thursday) with Karen Brooks (Georgetown University) and Keith Wiebe (IFPRI) to learn more and discuss! Countries with a high proportion of young job seekers (for example, those projected in 2030 to have 15% or more of their populations in the age group between 15 and 24 years old) are on average more dependent on agriculture than are countries with more mature population profiles. 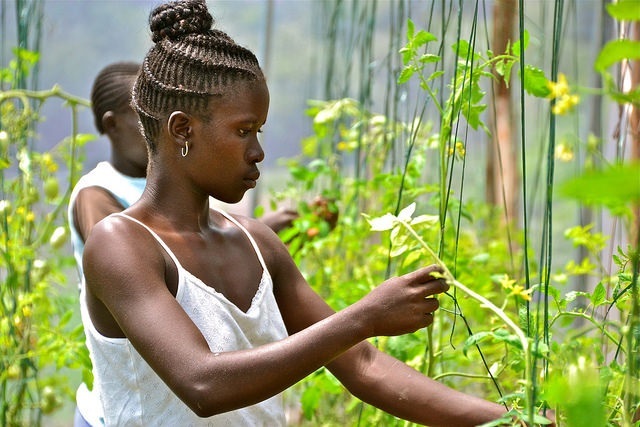 Regions with many rural young people (South Asia) and rapidly growing numbers (Africa south of the Sahara) are likely to remain reliant on agriculture in the coming decades. Of the projected slightly more than 500 million rural young people globally in 2030, two-thirds will be in Africa south of the Sahara and South Asia. In many African countries farming still employs over half of a rapidly growing labor force, and the absolute number of agricultural workers is still rising. Where agriculture is called upon to deliver job security as well as food security, vulnerability to climate change presents major risk. The risk falls disproportionately on young people because it will affect their job prospects in agri-food systems. How can we envisage the impact of climate change on livelihood opportunities for young people, and what can be done to improve their prospects?